UC students can now apply for NASA Internships under a new agreement between the space administration and the Ministry for Business, Innovation and Employment (MBIE). New Zealand Space Agency will be offering scholarships for up to four successful New Zealand students for NASA’s June 2019 intake. The successful students getting a scholarship will attend the Ames centre base for a 10-16 week internship in Silicon Valley. Students will also have the opportunity to build a network of contacts both within NASA and with US and international students taking part in the programme. Students will have an opportunity under the guidance of a NASA mentor. This opportunity is open to all high-achieving New Zealand students to work with experts in space-related fields and have access to some of the world’s most advanced research facilities. The scholarship aims to support New Zealand’s students studying space-related activities and will give New Zealand’s future innovators, entrepreneurs and scientists a head-start in their careers by enabling them to develop technical skills at a world-leading space agency. The internship will give students access to international professional networks and develop their understanding of the global space economy. The application process is two-phased. Candidates must first be selected by the New Zealand Space Agency. Following selection by MBIE, New Zealand finalists will be recommended to NASA. NASA will then choose their finalists from the broader pool of 12 other countries. Applications will be open from mid-September and close in mid-October. Students applying have to meet various requirements. 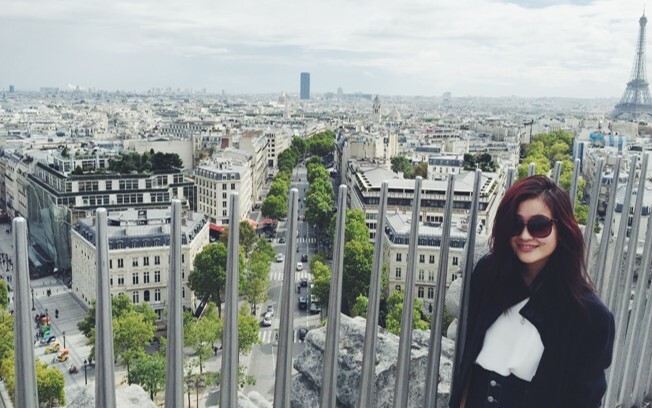 Rachel Liao is excited to be embarking on the experience of a lifetime as she prepares to study at Science Po Paris, thanks to the UC Student Exchange Programme. “I’m stoked to be living in France. Learning French has been a passion of mine since high school and my high school trip to France in 2015 really motivated me to keep going with the language. I have been itching to go back!” Rachel told us. Sciences Po is an international research university, ranking among the finest institutions in the fields of humanities and social sciences. Which for a political science major like herself, is an incredible opportunity. In addition to her studies, Rachel is eager to immerse herself in the French culture, spend time exploring another part of the world and taking her language skills to the next level. Rachel sees her exchange as a great opportunity to both finish her undergrad degree, and get her OE experience. It also gives her the chance to diversify her degree by experiencing a global perspective on her studies. And the free return airfares UC offers to eligible students didn’t hurt either. Rachel will depart New Zealand in late August, ready to begin her two semester stint at Sciences Po in early September 2018. Keep an eye out for more on Rachel’s Parisian exchange experience during her student takeover of the ucnz Instagram account, later this year. If you’ve been wanting to see more of the world then the UC Student Exchange programme, with over 60 partner universities worldwide, could be just what you’re looking for. Student Eden Skipper went to the Rotary Young Leader Award Conference in North America in July. He shares his experience. A two minute showcase of New Zealand either typically in the form of dance, song or poetry. For this I demonstrated a hongi with one of my peers and spoke my shortened mihi. I finished my act with the proverb ‘Whāia te iti kahurangi ki te tūohu koe me he maunga teitei’. The expo was a chance to share with other delegates New Zealand and or Rotary projects in District 9970. For my presentation I shared my whakapapa from Birdlings Flat, Waiwera rūnanga. Catching tuna from Lake Waiwera is not only a privilege for any Ngāi Tahu member but also anyone else. The eeling experience is unique, one which I am fortunate to have done and had to kōrero with others in Washington. As a teina I recall waiting behind the pā for what felt like hours in absolute silence in pitch black night. After which we snuck up to the drain and begin to hook tuna with our gaffs. A good nights harvest would exceed 200+ tuna. They would be processed, smoked then given to our extended family with us having a few for kai as well! Unfortunately due to environmental conditions of the lake and the decline of the eel population, harvesting tuna could exhaust them – one of Waiwera’s treasures and natural resources. I also spoke about the exhausting of our land and resources. Lake Waiwera being an example of this due to eutrophication. Who are Ngāi Tahu? Who are Māori? These were some of the questions asked throughout the conference. For the delegates who didn’t know who Māori are, I introduced this in my slide show. The Treating of Waitangi and a very brief background of Māori. For those who knew about Māori or wanted to know more, I spoke about Ngāi Tahu as a tribe, business and charity, including; scholarships, career opportunities, Whai Rawa (savings scheme), governance, environment all of which sits under the Ngāi Tahu kaupapa. Lots of praise was shown for the interaction of Ngāi Tahu specifically with the environment, governance and education throughout New Zealand. I believe the collaboration between Māori (iwi) and pakeha is a leading example of biculturalism with the indigenous people. The finale night, delegates were given the opportunity to perform a dance/song/poem etc. infront of their peers to compete for Mr/Mrs RYLA 2018. This is not necessarily a cultural requirement. For my act I started with the proverb ‘He aha te mea nui o te ao? He tangata! He tangata! He tangata!’ this quote was used by past International President Ian Risley. I then spoke about the respect I had for everyone in the room. Each and every one of them were committed to making other lives better. After speaking my respect I showed my respect by performing Tika Tonu. A question following my performance was ‘when is a time you have shown courage?’, my response was, when I performed this haka six months ago on behalf of my koroua this is also the same time I realised a lot of what he taught me aligned with Ngāi Tahu values and I began to feel the cultural connect to my iwi. I had delegates coming up to me afterwards giving me a hongi, shaking my hand and thanking me for showing them. The gratitude I was shown for my performance was incredible, I couldn’t be prouder of how respectful and encapsulated everyone was with our traditions. The selection panel were thankful and impressed, which lead to me being awarded Mr RYLA 2018. My prize is winning my conference registration for 2019. At the conference I promoted awareness of New Zealand and Ngāi Tahu to over 40 countries, gained the respect of many of the delegates by showcasing New Zealand, Māori and Ngāi Tahu culture in an honourable manner demonstrating our collective mana. Indigenous practices in educational institutes is one of the core interest areas I focused on whilst at RYLA NA. Of the candidates I asked, none of their respective home countries had indigenous practices integrated in their institute. For education there is not one size fits all for learning. Multiculturalism in education adds differing opinions and challenges others thoughts, all of which helps develop a growing brain. It is also a show of respect acknowledging the indigenous people of the land and the history it holds. I think UC can be a world leader in this and inspire other universities and businesses to do the same.